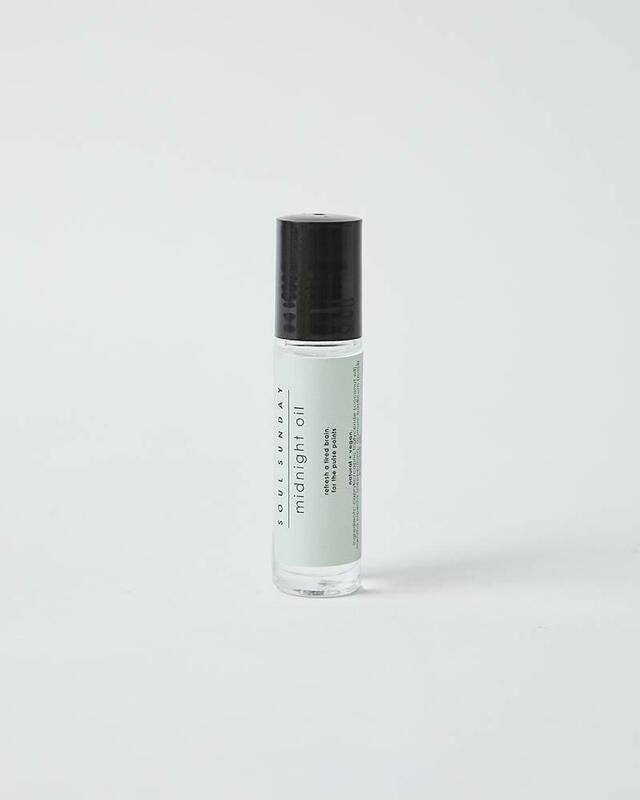 Aromatherapy roller oil formulated with a blend of essential oils derived from plants - flowers, herbs, trees, and fruit - to include in your everyday wellness ritual, wherever you go. apply to pulse points & temples for aromatherapy benefits. Smells lovely and can also be used as a natural fragrance. Midnight Oil is for long travel days and working late. Stimulates and refreshes our tired brains. A cooling minty basil blend that’s helps ward off migraines and increase focus. 1/3 oz | 10 ml glass bottle with stainless steel roller ball.